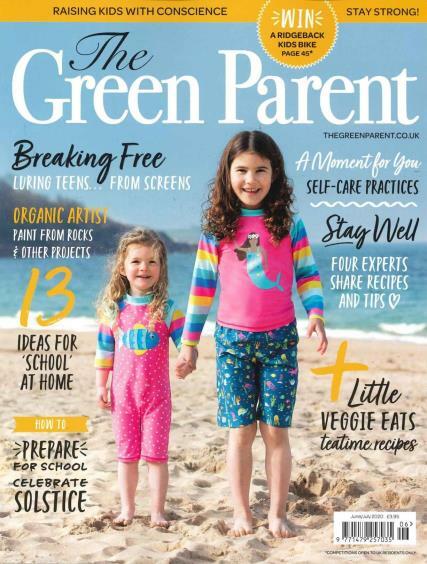 The Green Parent Magazine is unique in its content, the only parenting magazine in publication which concentrates on a natural, greener way of living and raising a family. Buy a single copy or subscription to Green Parent magazine. Each issue offers readers regular articles such as “Organic Gardening”, “Green Travel”, “Seasonal Food & Drink” and “Ethical Fashion” to name a few. With a slogan “Raising Kids with Conscience”, The Green Parent Magazine allows you to do exactly that, giving you guidance, hints and tips to a healthier lifestyle and happier families. If you’re a ‘green parent’ or you want to start making a difference, order your subscription to The Green Parent Magazine today.